On the computer that is running Windows XP you will need to confirm that the connection to the Internet is correctly configured if you haven't already done so. 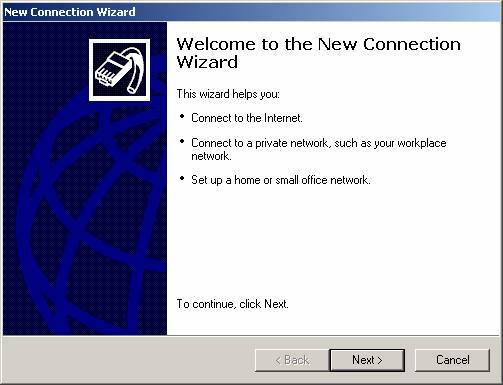 In the Network Connection Wizard, click Next. 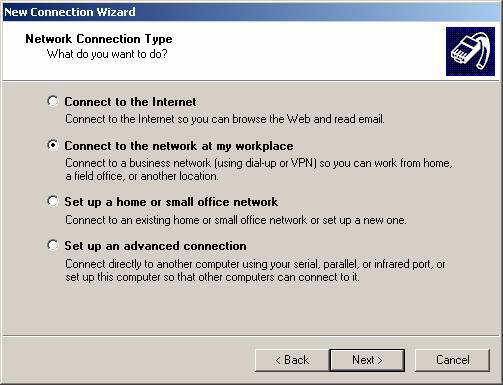 If you are prompted, you need to select whether you will use a dialup connection or if you have a dedicated connection to the Internet either via Cable, DSL, T1, Satellite, etc. Click Next. 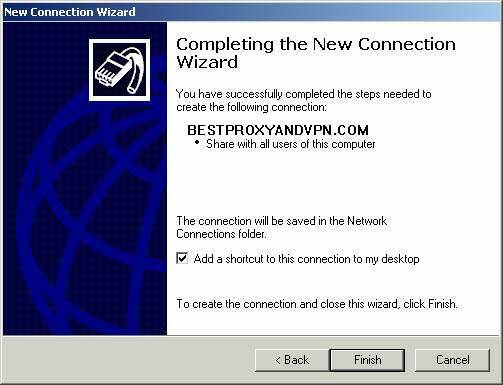 Type BestProxyAndVPN or any other meaningful name that you want to appear in the Network Connections area. You can change this later if you want. Click Next. Type the VPN Server name you have received for your VPN account as the address x.x.com of the computer you are connecting to (should look like VPN Server: x.x.com in your notification email), and then click Next. You may be asked if you want to use a Smart Card or not. You are just about done, the rest of the screens just verify your connection, click Next. Click to select the Add a shortcut to this connection to my desktop check box if you want one, if not, then leave it unchecked and click finish. You are now done making your connection. You can try the connection now. 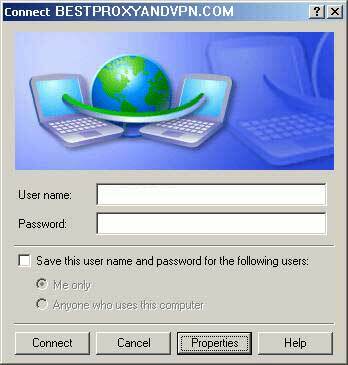 Now that you have your XP VPN client all set up and ready, the next step is to attempt a connection to the BestPROXYandVPN.com VPN server. 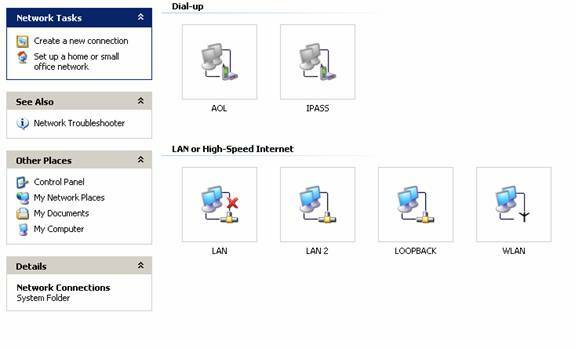 To use the connection follow these simple steps. To open the client again, go back to the Network Connections dialog box. One you are in the Network Connection dialog box, double-click, or right click and select ‘Connect’ from the menu – this will initiate the connection to BestPROXYandVPN.com VPN server. Type your user name and password, and then click Connect. Please note that each VPN account you have has a different VPN username for each of your accounts so make sure you use the correct username (which is different from the one you use for member area access).